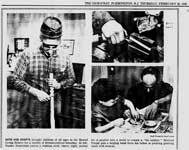 Eric was industrious from an early age, and his first personal business venture was a small castings company that produced a variety of lead and tin figures, sinkers, and bullets. At about 10 years old Eric was already discovering a desire for money, as it would get him various desired material things. So the contemplation began of what to do to obtain this "money." The first business venture took him into producing thousands of soldiers, fantasy figures, medieval entourages, carousel horses and other miniatures. Check back shortly - we're going to add some photos and details about this business, and eventually offer a limited selection of castings again! Meanwhile - check Miniature Molds, still in business in a new life (Previously Castings of Longwood, FL) this is the original supplier of casting equipment from Eric's first business venture over 20 years ago. 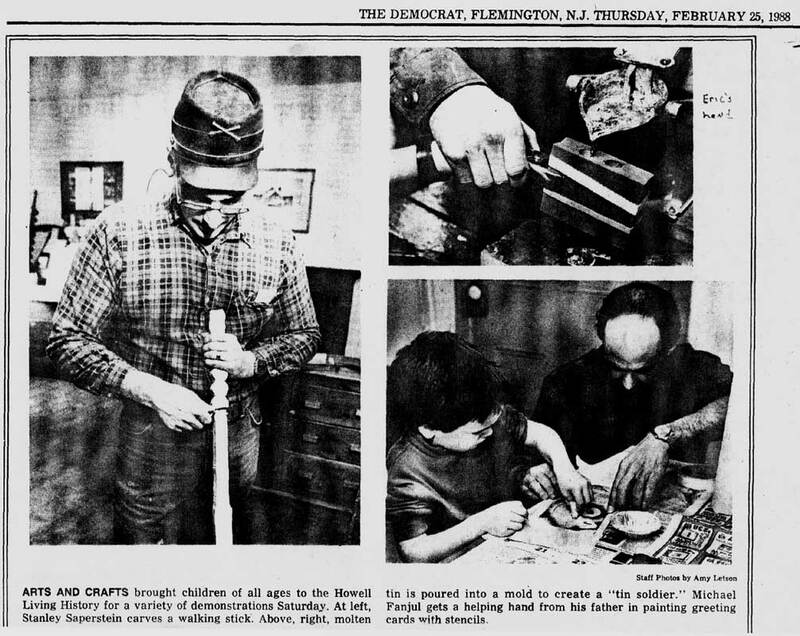 Although only his hand made this Flemington Democrat article in 1988 - this was one of Eric's many profitable craft shows.